Houses of worship are not just full on Sundays. They often host preschools, daycare centers, bible study groups and community meetings. All of this activity can lead to falls, fires, misconduct, and even theft. In addition to these risks, religious institutions often have significant assets that must be protected. Church insurance can help make sure your congregants, visitors and assets are fully protected. Church insurance is available to religious institutions and is a specialized package of insurance coverages that are specifically designed for houses of worship. Churches face a variety of claim risks, but many can be minimized. Here are the top four claims for church policies and a few tips on how to prevent them. According to Brotherhood Mutual data, there are roughly 1,800 fires every year in religious properties that result in over $98 million in damages. This figure doesn’t include the indirect costs of fire damage, canceled income-generating activities, money spent on renting meeting space, or suspension of community outreach services. Cooking is the most common cause of church fires, followed by malfunctioning heating equipment and faulty electrical wiring. Other common causes are arson and candles. 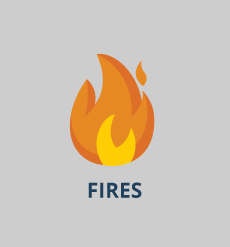 Church insurance covers both fire damage and any resulting liability or medical issues. Never leave food on a stove. If you must leave the kitchen, turn the stove off. Have the furnace and HVAC system inspected on a regular basis and address any issues immediately. Candles are responsible for 4% of all church fires. Extinguish all candles before leaving. Keep fire extinguishers on all levels and run fire drills on a regular basis. Changes in temperature can cause sidewalks to settle, creating an uneven surface. Inspect outdoor walkways on a regular basis and repair any issues immediately. Flooring like linoleum and tile can become very slippery. Keep it clean and wipe up any spills immediately. Parking lots, stairwells and walkways should be properly lit, and burned out bulbs should be replaced immediately. 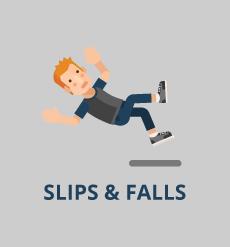 Snow and ice should be cleared as soon as possible to prevent slips and falls. Unfortunately, churches are frequent targets of burglary and theft. Both can result in financial loss and damage to valuable church property. Church insurance covers items such as stained glass windows and other religious artifacts, which would be excluded from a normal business policy. Many churches have an open door policy. Be sure all of the doors besides the front door are locked. Install lighting around all doors, parking lots and street entrances to the church. Install a security system to reduce the chance of being burgled. Surveillance cameras are an excellent deterrent. Sexual abuse and misconduct can happen in any business, and churches are not exempt. If you or one of your employees is accused of sexual harassment or sexual misconduct, the liability portion of a church insurance policy will step up. Run background checks on all prospective employees and volunteers. Train volunteers and employees to speak up if they suspect any type of sexual harassment or misconduct is happening. Make sure all policies and protocols are being followed, especially for volunteers or employees who are dealing with children. Storm damage: In 2014, storms caused roughly $5.4 billion in property damage, according to the National Weather Service. Damage from hail, floods and lightning can be expensive. The property damage portion of a church policy will help cover those costs. Water damage: Frozen pipes and leaking faucets can cause extensive damage to your church. Flooding and interior wall damage is common and expensive. Repair costs are covered under a church policy. Lightning and electrical surge damage: Computers, sound systems and other electrical equipment can be damaged by a lightning strike or power surge. Insurance for churches will step in and cover the cost of repairs or replacement. Recreational activity injuries: Children can be injured in a daycare center, camp or other recreational activity hosted by your church. A church policy will help cover medical costs and any liability issues. Religious institutions often have different insurance needs from regular businesses. Church insurance understands these differences and offers a variety of liability and property coverages from which you can choose to construct the perfect policy for your needs. General liability insurance: All church insurance policies include this coverage. It provides liability protection for your church members, officials, staff, volunteers and employees. It also offers protection if third parties are injured while performing duties for the church. Employee practices liability insurance: This is another coverage that is a necessity for almost every church, according to Stuart. “Make sure it covers both full- and part-time paid employees and workers on stipends,” he advises. 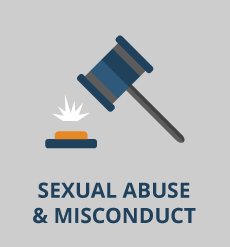 If an employee sues your church for sexual harassment, discrimination or wrongful termination, this will cover any damages and legal costs. Directors, officers and trustees liability insurance: Your board of directors, trustees and officers will be protected by this coverage if members of your church or employees sue them. Ordinance or law insurance: Another essential, says Stuart. “If the building is over 20 years old, this coverage is a necessity,” he advises. It will pay for the costs to bring your building up to current building codes if necessary. Religious freedom insurance: This coverage will protect your church from discrimination suits. Church-sponsored activities liability insurance: This coverage offers protection for off-site activities that your church may sponsor, such as picnics and softball games. These are one-off policies and must be purchased separately before each event. Daycare and preschool liability insurance: Many churches provide daycare or preschool options. This type of church liability coverage will handle any lawsuits brought by unhappy parents. General property: Property coverage is part of all church policies and will protect church property from damages due to severe weather, fire, falling objects, vandalism and theft. Inland marine coverage: This coverage will protect any valuable artifacts owned by the church during transport or shipping if they are being sent to another church or museum. Computer fraud coverage: If your church is a victim of computer fraud that is perpetrated by a non-employee, this insurance will cover your losses. 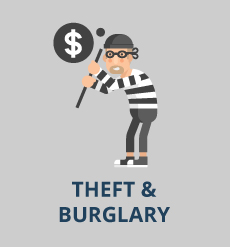 Employee theft coverage: If an employee who is bonded steals or embezzles church funds or property, this policy will cover the losses. In each case listed above, your church liability insurance will provide compensation for any related court costs and legal fees. Consult one of our Trusted Choice® agents to put together an insurance package that will protect your church and fit your budget. A church insurance company will help you compare quotes and advise you on coverage needs as your church grows and changes.